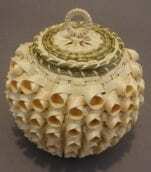 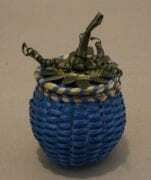 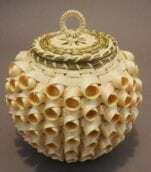 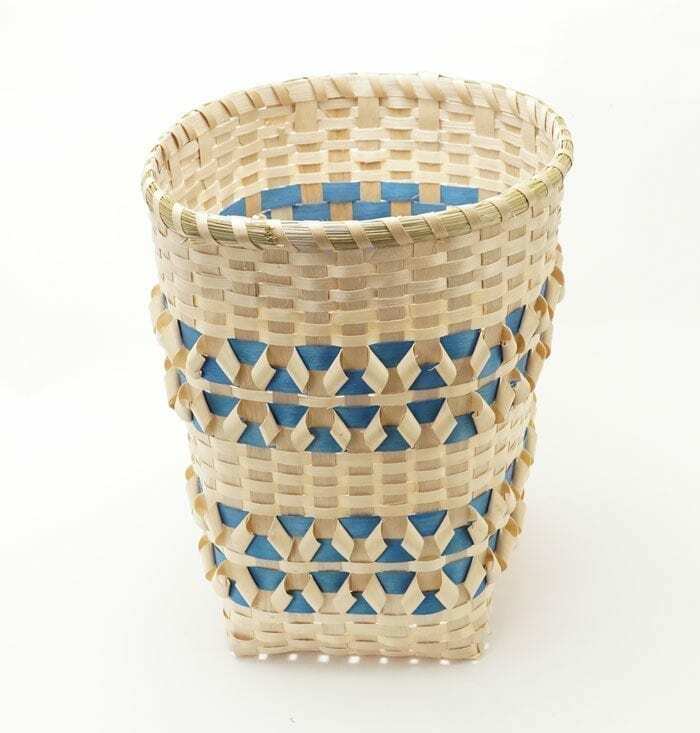 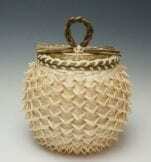 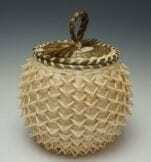 A lovely open basket by Passamaquoddy artist Gerald (Butch) Jacobs. 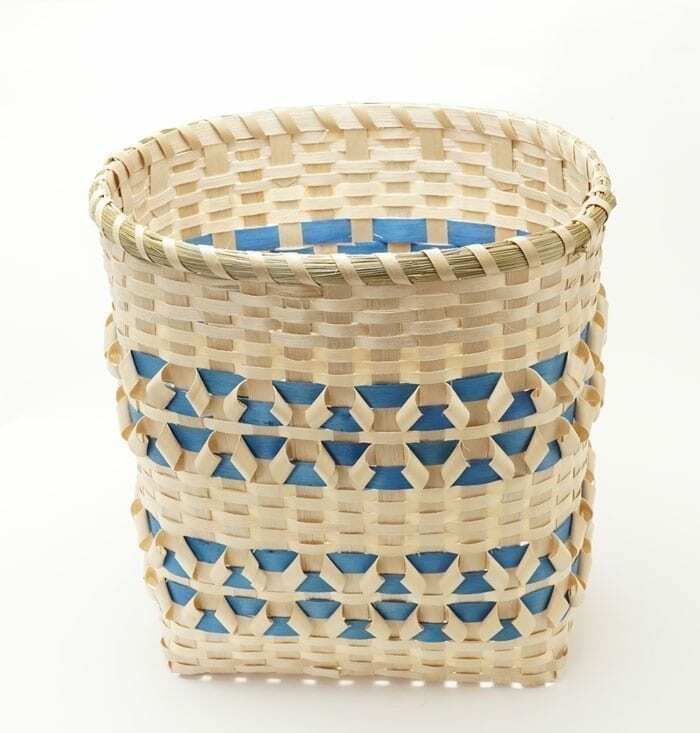 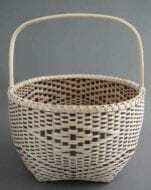 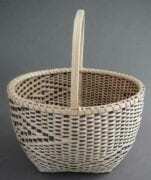 Jacobs carries on the family tradition of basket making; his grandmother, Angela Barnes was a member of the renowned Neptune family. 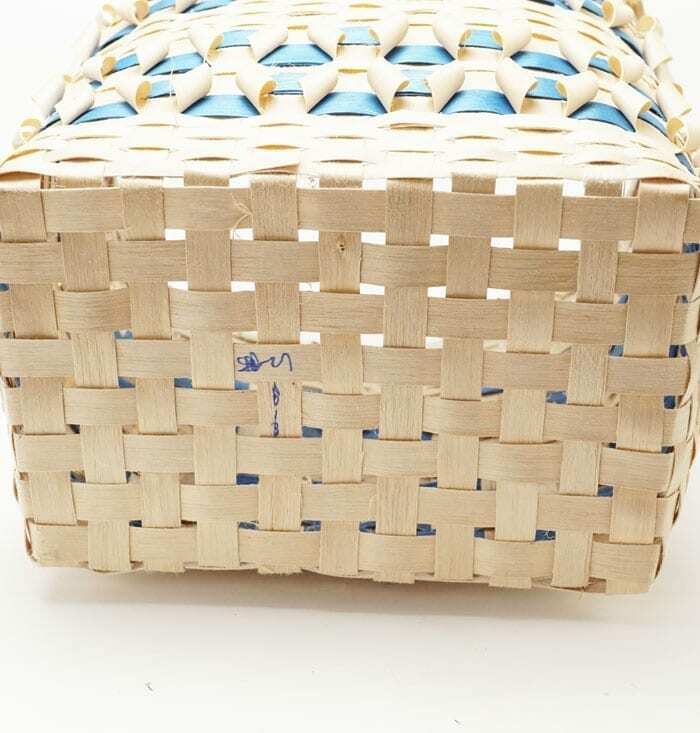 A ribbon weave is complemented by a pretty blue ash splints. A a ribbon weave is complemented by a pretty blue ash splints.